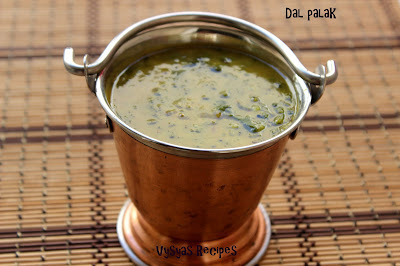 Dal Palak is a delectable & Healthy Dal Recipe made with Fresh Spinach leaves(Palak),dal, crushed Garlic & onions. It goes well with Rice,Roti,chapathi Phulkas & Jeera Rice.Spinach is rich in nutrients like Vitamin C and iron, which improves your metabolism helping you burn calories at a faster rate. 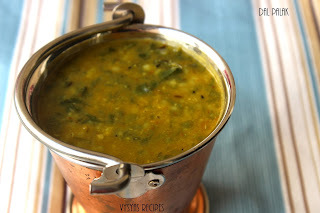 Spinach is packed with nutrients like antioxidants, vitamins, omega 3 fatty acids and folic acid which are great for your heart.Eating spinach regularly maintains the normal brain functioning as well as slow down the age-related decline in brain function.Now we will learn to make healthy Dal Recipe. Pressure cook the Moong dal for 3 whistles with turmeric & needed water. Then mash it & keep aside. Crush pearl onions & garlic. Chop palak,tomatoes and ginger finely. When cumin seeds sizzles add Ginger & crushed Garlic . When Garlic turns golden brown, add hing give a quick mix. Then add Green chillies & crushed pearl onions. Add Chilli powder,Turmeric powder & salt. Saute till tomatoes turns mushy. Then add Methi leaves, saute in a high flame for 3 - 4 minutes, then keep the flame to medium. Leaves oozes water, and it shrinks, leaves gets cooked with that oozed water itself. 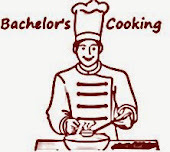 when it is cooked,add needed water. (i have added nearly 2 cups of water). Add Mashed moong dal.Mix well. Let it boil for few minutes till it gets thick consistency. 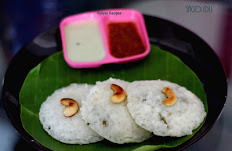 Serve with Rice,Roti & chapathi's. 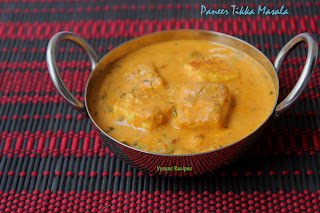 Instead of Moongdal, you can use Toor dal also,or equal proportion of both Moongdal & Toor dal. Adding crushed Pearl onions & Garlic gives, nice flavour to dal. As per your need you can adjust the quantity of dal. Moong dal is my all time favorite dal.. this combo is very healthy and nutritious. Delicious recipe, love to give a try. healthy, flavorful and super delicious! Dal palak looks super healthy and delicious! 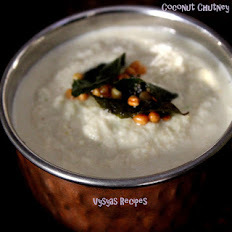 This is my all time favourite recipe. 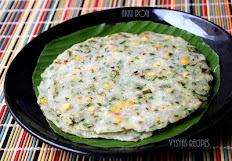 A healthy side for rice and roti. Very nice.